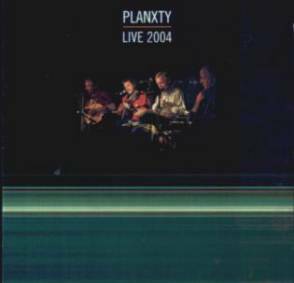 Planxty’s reunion gigs at the beginning of 2004 were among the most anticipated in living memory. This, after all, is one of Ireland’s most enduringly influential bands even though the original line-up last appeared on stage together in 1982. That ensemble featured four musicians whose prominence and reputations have never dwindled: singer, guitarist and bodhrán player Christy Moore; uilleann piper and whistler Liam O’Flynn; and multi-instrumentalists and singers Dónal Lunny and Andy Irvine. Their eponymous 1973 debut (a.k.a ‘The Black Album’) is one that can rightly be termed a landmark recording. Live 2004 draws upon those aforementioned concerts and reveals a foursome who might have less fire in their bellies than in their rip-roaring years, but still have more than enough pizzazz to wow an obviously appreciative audience which roars its delight whenever Liam O’Flynn’s pipes take flight or there’s a notable switch from one tune to another. As for the songs, there’s Raggle Taggle Gypsy, which set the tone of that debut album, and two other Christy classics, The Good Ship Kangaroo (with crisp as a cracker harmonies) and the epic Little Musgrave. Andy’s include the anti-conscription Arthur McBride and the whimsical The West Coast of Clare while, as ever, Dónal’s bouzouki and guitars underpin the simply unique Planxty sound. Liam remains the instrumental star, offering a sumptuous rendition of the air The Dark Slender Boy, and the Balkan influence Irvine brought to the band is apparent in Black Smithereens. While Live 2004 could never possibly match Planxty’s initial impact, it certainly proves there’s life in the old dogs yet! Neither the album’s liner nor tray insert provides any contact information.